Prep for Port Day charges forward at Cocktail Culture (too much alliteration? nahhhhh!) 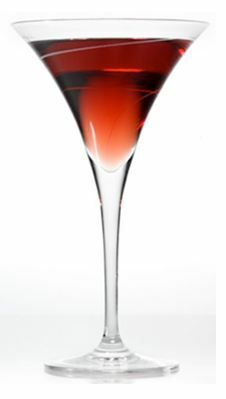 with a variation to a cocktail recipe that consumer just cannot get enough of – the Cosmopolitan. But before I get to the recipe, let me just say a few things about celebrating Port Day today. There is a great EventBrite website where you can find a slew of Port Day tastings, cocktails, and educational seminars happening nationwide. And, even as I begin writing this at 9 am, there is a wild flurry of #PortDay conversations happening on Twitter and blogs. But if you are interested more in finding use for a bottle of Sandeman Founders Reserve at home, I’ll get back to the Cosmo recipe at hand. Combine all ingredients in a mixing glass with ice. Shake vigorously. Strain and serve up in a chilled martini glass. Also, please feel free to go back to find more Port recipes in Parts I and II of this series. Cheers and Happy #PortDay to you! 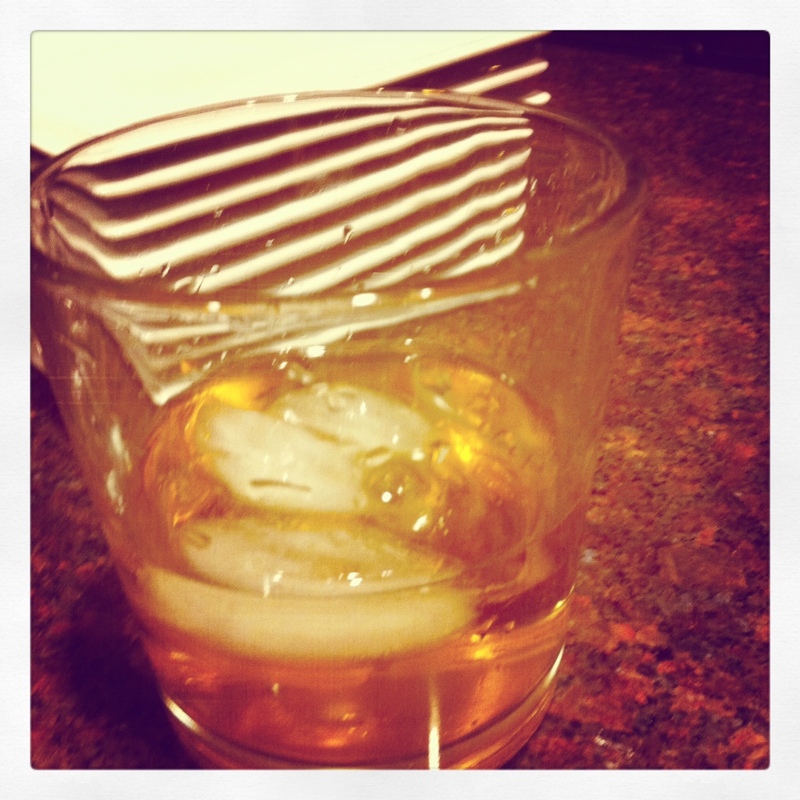 For Port Day – Part Deux, I thought I’d change things up a bit. Previously, Cocktail Culture has discussed port on this blog from the perspective of the Ruby varietal. Today, we’re talking Tawny. Tawny Porto varies from Ruby and here a few distinguishing factors. Tawny is lighter in both body and color when compared to Ruby, making it the slightly sweeter of the two varieties. Tawny ports are aged for much longer periods of time than the Ruby, which gives the varying levels of age different nutty characteristics. Combine ingredients in a mixing glass with ice. Shake vigorously for at least 45 seconds. 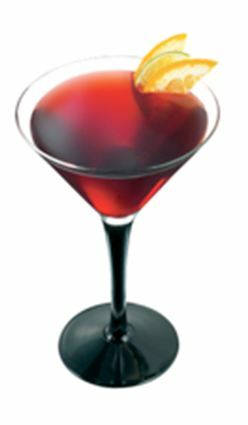 Strain and serve in a chilled martini glass. Garnish with an orange twist. So today’s question of the day – which variety of Port do you prefer to mix in a cocktail, Ruby or Tawny? I look forward to hearing some of your responses. 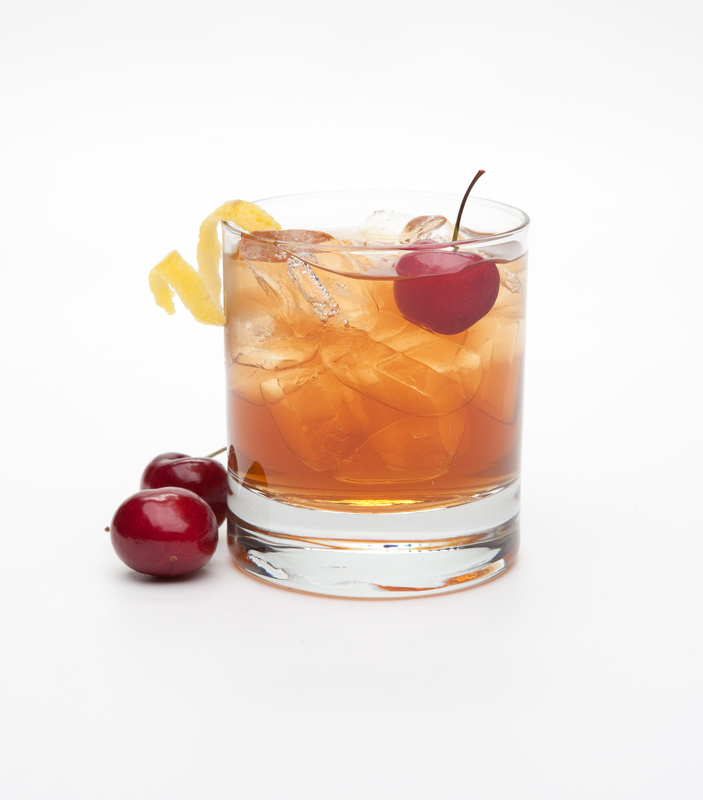 There’s plenty more Sandeman cocktail recipes to view on their Facebook tab, so give it a glance when you have some spare time. 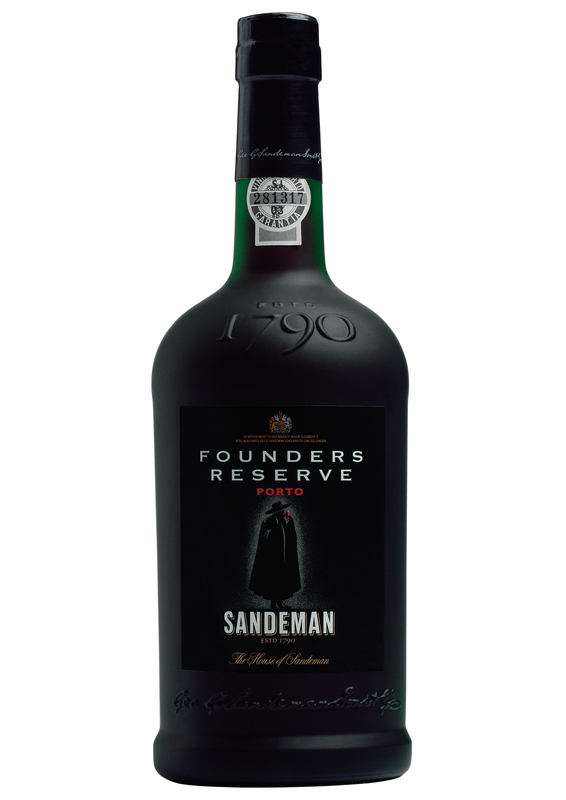 Sandeman Founders Reserve, a Ruby Porto at 20% ABV, can be a perfect companion to celebrate Port Day on January 27th. Port primarily does not come to mind when one initially thinks of ingredients for a cocktail. But with Port Day slated for this Friday, January 27, I thought it ideal to showcase a few ways over the next couple of days in which port can really add a depth in flavors to your cocktail recipes. Directions: Combine all ingredients into a medium size sauce pan and bring to heat but not boil. Serve hot in traditional mulled wine glasses. 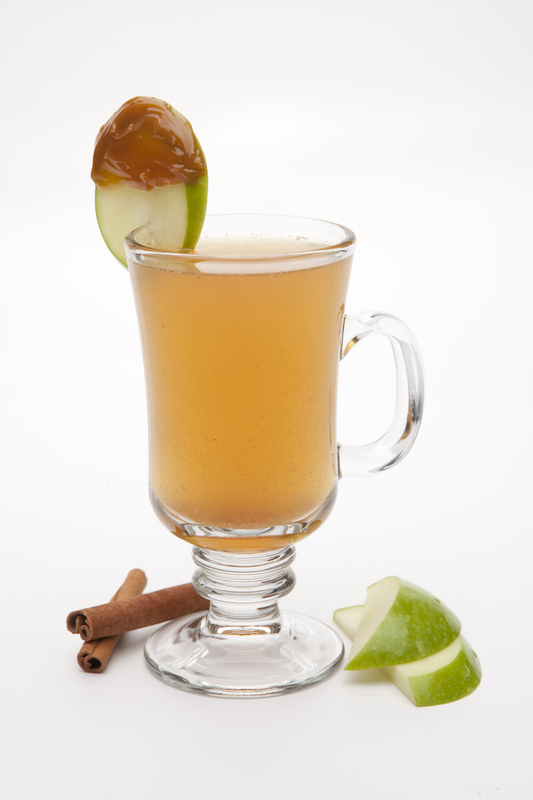 You can also find photos and many more recipes on the Sandeman brand Facebook page. Stay close by – there’s plenty more to come this week! New York, N.Y., (January 11, 2012) –Hiram Walker, the classic, diverse line of all-natural premium liqueurs, schnapps, brandies, and triple sec, is pleased to announce the launch of its second new permanent flavor addition in the past six months, Hiram Walker® Watermelon Sour Schnapps. Hitting retail shelves in February 2012, Watermelon Sour is a 30 proof watermelon schnapps that can be uniquely combined with a wide range of spirits and mixers to create cocktails, mixed or straight up, that are easy to drink and bursting with juicy watermelon flavor. Flavored cocktails continue to gain traction in the on- and off-premise, making Watermelon a natural selection as the next permanent addition to join the wide and wonderful array of cordials in the Hiram Walker portfolio. “Watermelon continues to be a favorite flavor and adds an unexpected, summer-inspired twist to popular cocktails like cosmos and margaritas,” said Juli Falkoff, Brand Director for Hiram Walker, Pernod Ricard USA®. Like all Hiram Walker flavors, Watermelon Sour Schnapps is made with all-natural flavors, adding a fun and palatable twist to a range of mixed drinks and shot recipes. Watermelon Schnapps serves as an ideal partner with other Pernod Ricard portfolio leaders including ABSOLUT®, Avion ®, and Malibu®. Hiram Walker Watermelon Sour Schnapps will be available in 1L, 750ml and 50ml sizes. The suggested retail price for a 750ml is $9.99. Following are just a few of the many ways to enjoy/serve Hiram Walker Watermelon Sour Schnapps. For additional recipes visit www.HiramWalker.com. Shake with ice. Strain into a margarita glass. Shake with ice. Strain into a martini glass. Layer Citron on Hiram Walker Watermelon Schnapps. Serve as a shot with a lemon wedge. Since 1858, Hiram Walker has pioneered numerous distillation and manufacturing processes that are now industry standards. For example, Hiram Walker was one of the first product lines to begin placing labels on its bottles. Hiram Walker Schnapps, Brandies, and Bar Essentials are made with all-natural flavors, which is reflected in the real fruit photography that adorns the labels. The line of Hiram Walker products consists of 39 Schnapps, Flavored Brandies, and Bar Essentials. Hiram Walker Schnapps and Brandies include the category leading classic Peppermint Schnapps, leading Blackberry Brandy, and lead the Flavored Brandy category. Hiram Walker also boasts a complete selection of bar essentials, including Triple Sec, Amaretto, Blue and Orange Curacao, and a range of Crèmes. The company’s leading spirits and wines include such prestigious brands as Absolut® Vodka, Chivas Regal® Scotch Whisky, The Glenlivet® Single Malt Scotch Whisky, Jameson® Irish Whiskey, Malibu® flavored rum, Kahlúa® Liqueur, Beefeater® Gin, Plymouth™ Gin, Seagram’s Extra Dry Gin®, Martell® Cognac, Hiram Walker® Liqueurs, Pernod®, Ricard® and Avión™ Tequila (through a joint venture with Tequila Avión); such superior wines as Jacob’s Creek® and Brancott Estate®; and such exquisite champagnes and sparkling wines as Perrier-Jouët® Champagne, G.H. Mumm™ Champagne and Mumm Napa® sparkling wines.